Have you completed your studies and wish to apply for a job? Then you would browse through dozens of websites eagerly searching for job matches that would fit your educational qualification. But somewhere in a corner of the mind, do you wish to get employed in your dream company? Are you frustrated that there are no openings available for the time being in this company? Never mind. You can always correspond to them by writing a letter of interest. In another case, are you employed somewhere else but wish to work for your dream company even though no openings are available for the skill sets you possess? No problem. A letter of interest may be the best option to you. Now you must have got a rough idea about what a letter of interest is. So let us talk about it now. 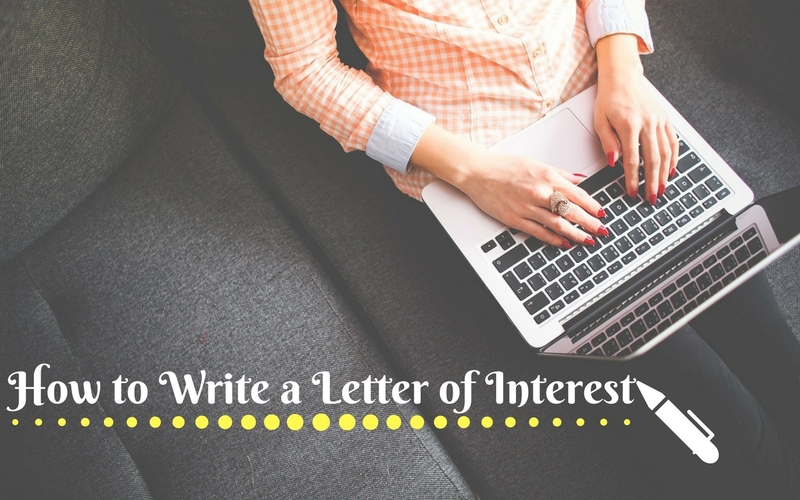 Letter of interest is an introductory letter written to a company seeking and exploring possibilities of employment in their company. Remember that a letter of interest is written even when there may be no openings for jobs in that particular company. And a Letter of interest is called so because this letter means that you are interested in working for that company and that is exactly the reason why you have chosen to correspond with the company seeking employment in the present or future. Your mode of correspondence to the applying company may be through regular post or e-mails. One of the better options is when you know someone personally in the company, then you may directly correspond to that person about your interest in working for the company. Here you are sure that your letter of interest will be duly delivered to the hiring manager or the team. The hiring team always stores such correspondences and whenever a vacancy in your particular field arises, you will be considered for the interview. When is a Letter of Interest Written? Letter of interest is not only a job seeking correspondence. It may be written by persons who would want a promotion or job change in the same or current company they are working. It may be written by students while applying for an internship or project in any company of their choice. If a Letter of interest and a cover letter both contain about your skills and accomplishments, then aren’t both the same? Or do they differ? Letter of interest and Cover letter do differ in terms of the situation when it is sent, the intent, as well as the content. Know that a cover letter is posted in addition to your resume and it is when you are applying for a specific job opening in the company. Whereas letter of interest is randomly sent and not always if and when, there is a job opening. Cover letter covers your skill sets, previous task accomplishments and your fulfilled projects in detail and it has contents which cannot be filled in a brief resume. In a way, if your resume is the list of contents page, then the cover letter is those contents explained in a brief way (Mind it, not in a very detailed way). Then comes the question, so what is written in a letter of interest? So a letter of interest includes why you would want to join the company in addition to your qualifications and your skill sets. You would include what type of a role or job you are seeking in that company and you need to justify why and how that role would suit your qualification for that particular post. In short, you are enquiring about the possibility of openings in the company for your skills. Now that you know what a letter of interest is and why it is written, it is time to detail out what to include and how to include your professional details and the care that has to be taken when formatting the letter. There are certain points that are better when included and there are points that need to be specifically kept out of a letter of interest. When you are writing for a company without them having a job opening, it is obvious that you are interested in the company and not the other way round. So it is natural that you need to prove yourself worthy of getting employed in the company. What is it about the company that interests you? Write something about the company and their products and innovations and how you have always held them in high esteem. Yes, you have written about how well you like the organization, but be specific about the job area you are interested in. Write the field under which you would like to work for that firm. Are you interested in marketing? Or are you interested in research in the company? If marketing post is what you would like to work for, then how are your skill sets going to benefit the company? What are the advantages the company would have if they hired you? That should be the core of the letter of interest. You need to sell yourself off but even the company hiring you, should know that they can invest in you. When writing to the company about how the company would benefit by hiring you, list all the accomplishments and merits you have earned till date. That proves to them that you are capable enough to work for their organization. Don’t write a story or a lengthy paragraph explaining your previous experiences and skills. Then your letter of interest will surely not see the light of the day. When mentioning the skill sets and the work experiences, make points or bullet numberings so that they can go through it with ease. If your skill sets are limited, then keep the sentences short and cover the important points only. That is one of the main inclusions in the letter of interest. Your contact details may include your postal address, your cell phone number and most importantly your e-mail address. At the conclusion of the letter of interest, mention in 1 or 2 sentences about how good it could be if the company would arrange for a meeting with the hiring team. Or more better thing would be to ask whom to meet if you come visiting them. By this, they are assured that you are really interested in seeking a job. You are interested in seeking a job in the company, but you have the essential skill sets too. And you know that you will be an asset to the company as much as the company may be beneficial to you. But that doesn’t mean that you are too desperate to get the job at any cost and that you are literally begging them for a job. Show no signs of that in the letter of intent. Never, you are writing to them and they haven’t come to you seeking a favor. But then again, don’t write that salary is not a hindrance and that you are ready to work for whatever salary they are ready to pay you. That sounds like literal begging, isn’t it? That is what not expected. Do not write anything related to the pay on the letter on interest. If you know any member employed in the firm where you intend to write the letter of interest then address the letter to that known person. By this, you are making sure that your letter will be read and considered while it is passed on to the appropriate department. Or else, you could even mention some recommendations or the people you personally know inside the contents of the letter. I have been following your company’s achievements and success with eager zeal all the while knowing that you company is a pioneer in adapting new technologies and advancements. And this is precisely why I feel that my knowledge and acquired skills can be put to perfect use in the global progress of your company. I am interested in working for your company and I hope that you would surely consider me for a position in _____ department. I have qualifications fit enough to fill the above role and I assure you that with my qualifications coupled with hard work I will exceed your expectations. I want to prove that I will be an asset to your company in this field as I am experienced in it and I am confident that my skill levels could be put to use to benefit your company. I have worked exceedingly well in maintaining an exemplary record of achievements and the projects that I have coordinated with have been appreciated and well received. I would like to seek opportunities to work in your organization and would welcome a communication with you to put forth my views and qualifications for future reference. You could contact me at the address provided and I would be expecting a positive reply from you. Changes can be made with regard to how you intend to approach the company and what skill sets you would like to highlight so that the chances of you getting a positive response from the company is higher. If the company finds any unique or relevant work experience you are having which it might need if not now, atleast for the future, then be sure to get a reply from them. What exactly are the benefits of a Letter of interest? Letter of interest can be considered as one among the tools to apply for a job seeker. The more authentic and engaging your letter is, the better chances you stand for getting a favorable response. There are instances when the company is in initial mode of expansion and they would want people in specific fields, sooner or later. And then sometimes the company may need to diversify into other related sectors, wherein your letter of interest will come in handy to them. Yes, you write the letter of interest expecting that they will respond to you. Know that this letter of interest is not like posting a resume to a job opening where you would get a reply. Have patience while waiting for a response because there are chances that you may get a favorable reply later. And all the while do write letter of interest to various companies where you would like to work as this works as a sort of more personal job application than the usual resume or cover letter.